Like many other Web sites, https://www.travelingreference.com makes use of log files. These files merely logs visitors to the site - usually a standard procedure for hosting companies and a part of hosting services's analytics. The information inside the log files includes internet protocol (IP) addresses, browser type, Internet Service Provider (ISP), date/time stamp, referring/exit pages, and possibly the number of clicks. This information is used to analyze trends, administer the site, track user's movement around the site, and gather demographic information. IP addresses, and other such information are not linked to any information that is personally identifiable. → Google's use of the DART cookie enables it to serve ads to our site's visitors based upon their visit to https://www.travelingreference.com and other sites on the Internet. https://www.travelingreference.com has no access to or control over these cookies that are used by third-party advertisers. We believe it is important to provide added protection for children online. We encourage parents and guardians to spend time online with their children to observe, participate in and/or monitor and guide their online activity. https://www.travelingreference.com does not knowingly collect any personally identifiable information from children under the age of 13. If a parent or guardian believes that https://www.travelingreference.com has in its database the personally-identifiable information of a child under the age of 13, please contact us immediately (using the contact in the first paragraph) and we will use our best efforts to promptly remove such information from our records. Bournemouth is one of the best places to visit in the United Kingdom. A coastal town in the South of the United Kingdom in the area of Dorset. There are many tourists activities and destinations the traveler felt in this city. Its complete facilities such as hotels, resorts, restaurants, cafes until the spa is available. 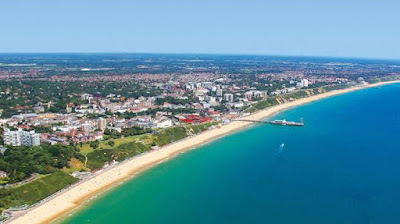 Because it is located on the coast, Bournemouth had a chic sandbar along 16km. The beaches contoured ramps and never deserted from various festivals each month. A row of cliffs around the coast became a favorite place for traveler who likes to test the adrenaline like hiking, rock climbing, surfing and other water sports. Some theme parks such as Home of Peppa Pig World and Mighty Claws Adventure Golf, suitable to be visited together with family. If you want to feel the sensation of nature, Bournemouth had a garden and forest city with total extent 2,000 hectares. One of the best churches with beautiful views in the world is in Georgia. A church in Georgia is so an attraction for more adventurous tourists. Are at the top of a mountain near Mount Kazbek, this view of the Church can give the impression the traveler who visited it. Gergeti Trinity Church or commonly known as Holy Trinity Church is somewhat unique. 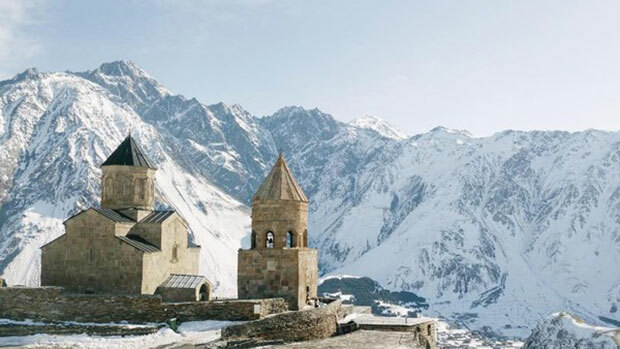 If usually, a House of worship located near urban areas or roads are easily accessible, the Church is situated on the mountain peaks near Mount Kazbek. Gergeti Trinity is an active Orthodox church built in the 14th century. In the 18th century, Tbilisi Persian invasion and took valuables from Mtskheta and Holy Cross Nino for in store here. Because during the Soviet era, all religious activities were forbidden. Not only history, the building was already a folklore store so interesting. According to Georgian folklore, used while there was a warrior named Amirani. Melbourne is one of the best places to see the beauty of Australia, you can see a beautiful view of the Mornington Peninsula at its highest point. The Beautiful scenery can be seen by Eagle Ride. Beside that, by trying to ride the cable car, you are also provided with more beautiful view from the heights. Before the cable car ride, a traveler must buy tickets at the counter with the price is AUD 17.50 for one way and AUD 24 for back and forth. After buying a ticket, the traveler will be allowed to board the gondola with maximum capacity up to 8 people. 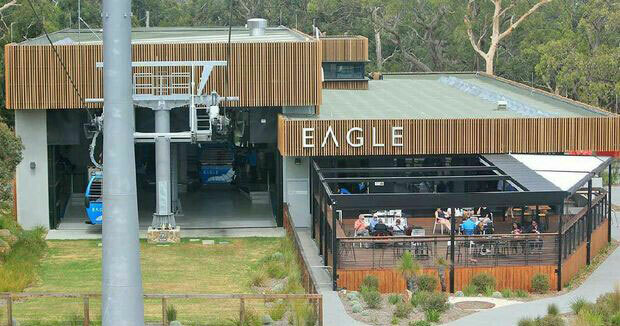 Keep in mind, the gondola of Eagle Ride has 304 meters to the highest point. If you are at the highest point, the gondola will go down first before turning back to the top or the starting point. Slowly, the gondola began running. In the distance, it appears the view of Port Phillip Bay and the Mornington Peninsula. If the weather is sunny and not foggy, the traveler can see Melbourne in the distance. This simple site for traveling reference of your holiday. Enjoy your holiday and remember to always save our nature.